This might be a strange one for you all as this 'superfood' is something you will probably see everyday; you will probably already eat it in your diet and pick it up at the supermarket on your weekly shop. But many people don't know the actual benefits of this wonderful veg. Any guesses yet? I am of course talking about carrots! While at the supermarket the other day, I picked up a kilo bag of them and my auntie looked at me strangely and asked 'are you really going to eat all of those?!' The answer was yes; if I think about it, I eat carrots in practically every meal. They are so versatile; they can be roasted, boiled, eaten raw, grated, steamed or even grilled! But what's so great about carrots... Why should we be eating them every day? Carrots are rich in beta-carotene (it was actually named after them! ); this organic compound is converted, by the liver, into as much vitamin A as the body needs. 100g of carrots actually provide approximately 400% of your RDA of vitamin A! Beta-carotene also acts as a antioxidant which can slow down the ageing of cells; in other words, carrots keep you young (kind of)! Vitamin A helps to keep out bacteria and viruses as well as maintaining good eyesight (there is proof to the old tale after all! ); it is transformed in the retina into a pigment which we need for night vision. It is also believed in some cases to reduce the risk of cataracts. Vitamin A in carrots help to maintain healthy skin, nourishing it as well as helping with pigmentation and scars. It is believed that carrots can reduce the risk of lung and colon cancer due to another compound that is found primarily in carrots. According to WHFoods, a recent study has shown eating a good amount of carrots in your diet can reduce the risk of cardiovascular disease (CVD) and strokes. As well as Vitamin A, 100g of carrots provide Vitamin K, fibre (which in this case lowers cholesterol and reduces bile production), Vitamin C, potassium, manganese and only 22 calories and 0.4g of fat! Carrots can also be great for cleaning teeth... as indicated by bugs bunny! All these benefits and you can get a whole kilogram of carrots for around £1 (in the UK of course) most of the year round and they can last in your fridge for up to two weeks! You'd be crazy not to buy them! Right, now to the long part. As I mentioned before, I use carrots in almost every meal so there might be an extreme amount of suggestions made here for recipe ideas! It should also be noted that the best way, nutritionally, to cook carrots is to steam or stir-fry them in a bit of oil. The fats in the oil help to break down the cell walls so more beta-carotene is released! Most of these will be links to other posts and recipes on my blog, unless otherwise mentioned, so just click on the link or image to take you to the post! I always, always, always use carrots in my salads! Always! It just makes them taste so much better. They are great julienned but I normally just grate them to save time! If you haven't checked out my salad post yet, find it here for all of the recipes below! 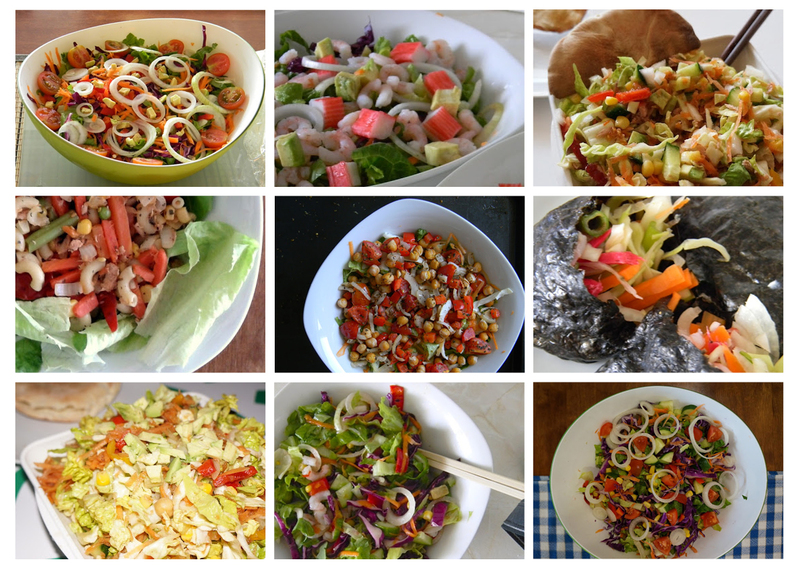 Colourful Mixed Salad, Seafood Salad, Tuna Salad, Pasta Salad, Chickpea and Roasted Pepper Salad, Salad in Nori Sheets, Salmon Salad and Lountza Salad. For something a bit different, why not add some roasted carrots (along with other veg of course) to a salad; great with lountza! As with salads, carrots are great in every soup. Lentil soup, tomato soup, butternut squash soup, chicken noodle soup, chicken and rice soup or even just a soup all to themselves! 1. Cook pasta as instructed for 5 minutes. Meanwhile stir fry the mushrooms, onions and ham (if using) in a bit of oil before adding the rest of the vegetables to the pasta. Cook for a further 5 minutes and drain well. 2. Whisk eggs and combine with milk, seasoning, parsley and half of the cheese mixture (if using). 3. Divide vegetables amongst 12 muffin tins and add egg mixture to each. Top with remaining cheese and bake in a preheated oven at gas mark 6 for 15-20 minutes. 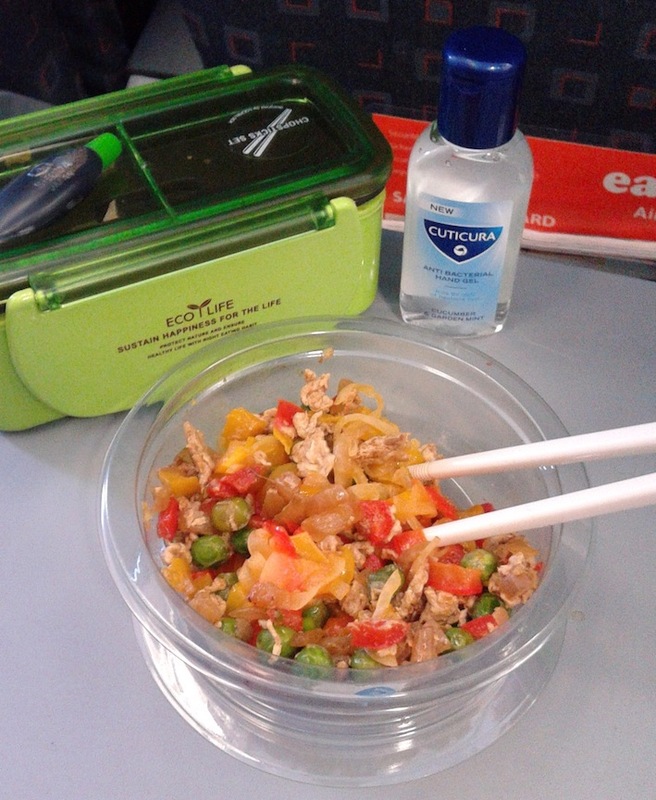 Regular, with noodles, with salmon or even on a plane! - Preheat oven to Gas Mark 4. - Put sugar in a large bowl and stir in the oil. - Break in eggs, one at a time, beating each one until thoroughly mixed. - Sift the flour with the baking powder, cinnamon, cloves and salt into the mixture and mix thoroughly. 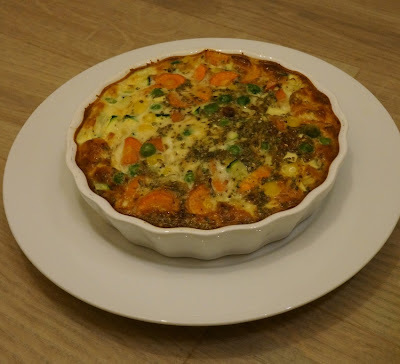 - Finally, stir in the carrots and chopped walnuts and spoon into a prepared round cake tin. Bake in the oven for 70 minutes or until the top jumps back when pressed with finger. Cool on a rack. To make the frosting, beat the cream cheese until soft and stir in the greek yoghurt, blending until smooth. When blended, add the sugar and stir again. When cake is cooled spread the frosting over the top, smoothing with a palette knife, and decorate with walnuts if desired. Carrot sticks with greek yogurt mixed with sweet chilli sauce; simple but delicious!